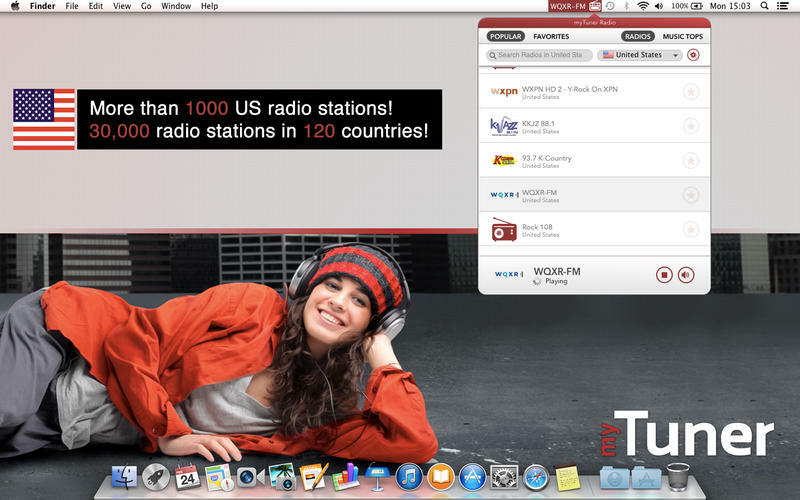 myTuner Radio Free (com.appgeneration.itunerosxfree) is a Mac OS X software application that has been discovered and submitted by users of iBoostUp. 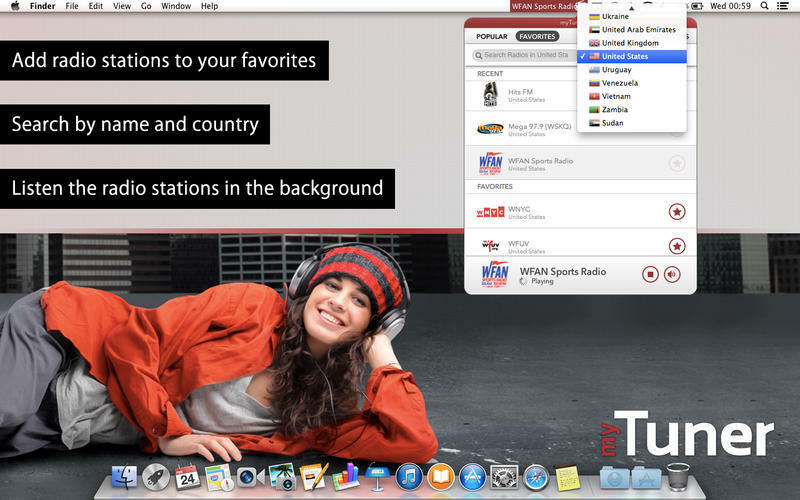 The latest version that our iBoostUp users have reported seeing on their systems is myTuner Radio Free 10. The most popular version of this application used by our users is version 1.7.
myTuner Radio is easy to use, has a great design and it sits on the menu bar for you to use whenever you like. Its the best way there is to listen to the radio on your Mac. "A lightweight application for listening to internet streaming broadcasts, it can pick up 30,000 live radio stations from more than 120 countries (...) allowing you to restrict searches and browsing to a single country with a pull-down menu useful, given the number of stations." Application Copyright: Copyright (c) 2014 AppGeneration. All rights reserved. For more infomation on myTuner Radio Free please click here, or to find updates and downloads of myTuner Radio Free please click here.